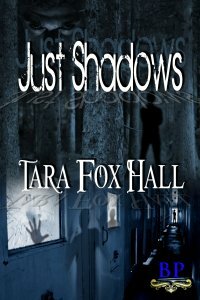 Enter to win one of two e-copies of Just Shadows! Prize winners will also get a bookmark and a pen. The human mind is an enigma. Many different stimuli result in wildly dissimilar responses in both thought and action. One of the most interesting is the concept of fear. Most people would agree on the following several concepts as terrifying: the Christian Satan, terrorists, pandemic diseases, or deaths of loved ones. But even within those few topics, the fear we feel when each are mentioned isn’t the same. The terror of death and dying is not the same as the horror of losing someone you love, even if both are frightening. In first scenario, we fear only for our own lives, and in the second, we fear for someone else, both in their own passing from this world, and for our loss at being left behind to face the world without them. These are basic fears. But in most people, these concepts only scratch the surface. More intriguing is when fear becomes personal, the variations in reason become extreme. Hippopotomonstrosesquipedaliophobia—fear of long words, linonophobia—fear of string, orthophobia—fear of property, papophobia—fear of the Pope, pupaphobia—fear of puppets, or zemmiphobia—fear of the great mole rat. I admit myself to a fear of wasps (sphecksophobia) and a fear of heights (acrophobia). Likely there is not a person reading this that wouldn’t have some named fear on that comprehensive list. We’re all afraid of something, if not several somethings. Why are we, though? Why do we fear? Wikipedia defines fear as “a distressing negative sensation induced by a perceived threat.” So when we fear something, that emotion is caused because we think whatever we fear is going to directly hurt us in some way. With an animal or insect, that threat is usually a bite or a sting. It’s easily understood. Yet what about the fear of string, or sermons? That perceived threat is not so immediately obvious, making the fear that much more interesting. Some fears are innate, instinctive, like the fear of creatures that can harm you. I have a fondness for snakes, but that came in time, after I overcame my fear of them. That affection now extends to spiders, toads, crayfish, bats, and snapping turtles, as well as all the more accepted, handsome creatures like lambs, cats, dogs, horses, and birds. I don’t fear the former, less accepted creatures, though I do handle them with a lot more wariness. I understand that puts me in a minority, though, as most people dislike them. But why do they? Bats and toads eat insects and snakes eat mice, something considered by most people to be beneficial. None attack people, unless they are provoked, and even then, these creatures usually prefer to escape, not turn aggressive. The answer for the dislike is plain and simple fear. The perceived threat is there, either from a bad personal experience, some information they once received in the waking world, or from their subconscious. Other fears are taught to us by our parents, such as the fear of burns from a fire or a hot stove. These are necessary for us to survive, so that we understand and respect something that can harm us. The fear is what some refer to as a “healthy fear”, which means really a respect and wariness when in the presence of on object that can do you harm, usually deadly harm. There is also the fear of humiliation, which is usually based on cultural norms, and differs from one country to another. Lastly, there is also the fear of the supernatural, the unknown shadow that waits at the tops of the stairs, lurking and waiting for us to turn out the light so it can pounce. It is in the subconscious that most terror is born. We fear what we can’t explain. We fear when daily life does not follow its set, usual pattern, and instead spirals into something we are not rationally equipped to deal with . We fear when our beliefs we hold most dear are threatened, when our eyes see things we cannot explain or understand. That loss of control of our environment, the one thing perhaps that we feel we have some say over, is terrifying. As a horror/suspense writer, it is these fears I must locate and tap into, not just for the individual, but for my entire audience. It is these fears which I exploit in my newest work, Just Shadows. So what do you fear, dear readers? Tell me, and I will do my best to bring them to life with words. I'm an OSHA-certified safety and health inspector at a metal fabrication shop in upstate New York. I have a bachelor’s degree in mathematics with a double minor in chemistry and biology from Binghamton University. My writing credits include nonfiction, horror, suspense, erotica, and contemporary and historical paranormal romance. My first full length paranormal suspense, Lash, will be published in April 2012 from Bradley Publishing. My first vampire romance novel, Promise Me, will be published in June 2012, with the sequel, Broken Promise, to follow in Fall 2012 from Melange Books. I also coauthored (with Eric Dietrich) the essay “The Allure of the Serial Killer,” published in Serial Killers - Philosophy for Everyone: Being and Killing (Wiley-Blackwell, 2010). I divide my free time unequally between writing novels and short stories, chainsawing firewood, caring for stray animals, sewing cat and dog beds for donation to animal shelters, target practice, and contemplating—though not committing—murder for hire.